ollis Brown Thornton’s artwork takes images of the past, from pop culture to family photos, and breaks them down to explore concepts of memory, change, time, and nostalgia. As a child of the 80s, Hollis’s early and fragmented memories are filled with touchstones of the time: Atari games, stacks of VHS Tapes, Star Wars heroes, and bulky sweaters, to name a few. 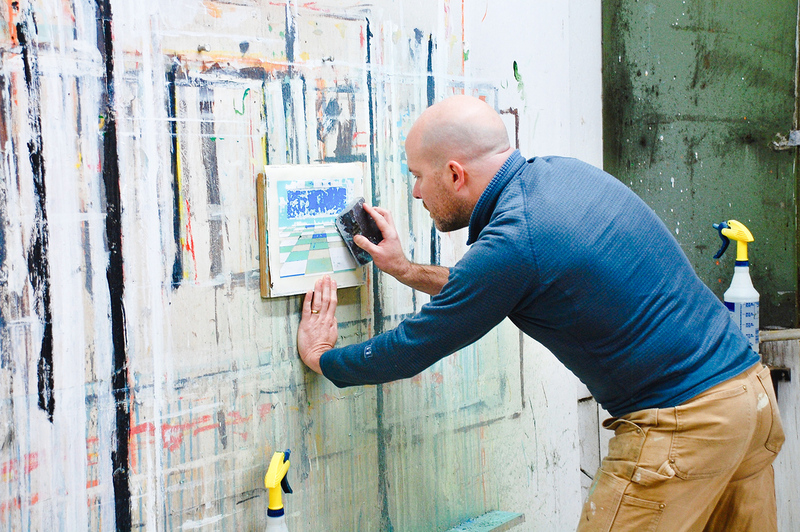 In his studio, he recreates these childhood memories in bold color using marker, pencil, and pigment transfer. Hollis erases, fragments, simplifies, and “pixelates” portions of his work to represent the limited, imperfect nature of memory and the constant notion of flux that we all experience in our increasingly digital world. When complete, Hollis’s artworks act as incomplete templates, reinforcing his belief that we are all naturally fragmented and working to figure out this world we were born into. 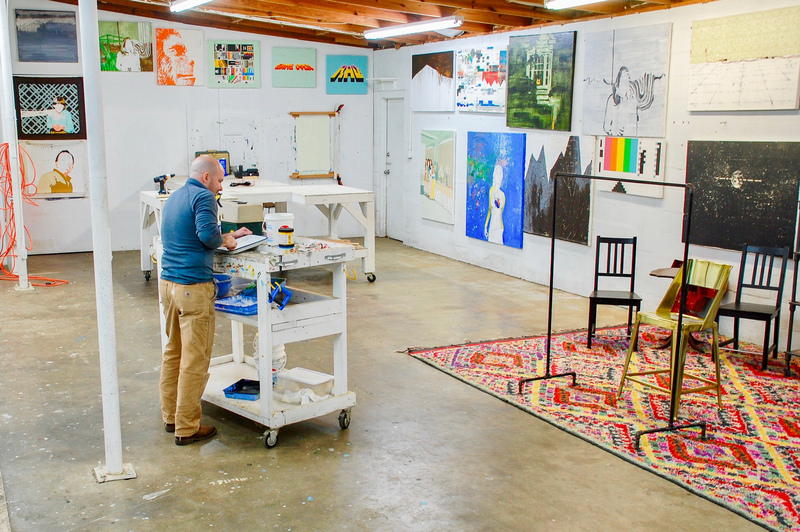 In this interview, we join Hollis in his Aiken, South Carolina studio to learn more about his creative process and career as an artist. What can you tell us about your journey to become a professional artist? I've always been interested in art. As a child, I drew my own comic books and always enjoyed creating as a hobby. In high school I transitioned to more photorealistic drawings with pencil. When I was in my third year of college studying business, it dawned on me that working in the family's insurance business was just not something I would enjoy, so I switched my major to fine art. It took an extra year to complete school, but worthwhile. After college, I moved to Chicago and worked at galleries part-time and painting part-time. By 2005, I moved back to my hometown of Aiken, South Carolina to become a full time artist. I guess you can say, the journey has been linear. Being an artist is what I was meant to be. How would you describe your paintings? I use a combination of acrylic paint, permanent marker, and pigment transfer to make images that focus on the passage of time. I'm attracted to the temporary nature of things and the way we make decisions based on our brief moment of being here. I use outdated and older objects to focus on the temporary nature of existence. It really is as simple as that. In my work I pursue the traditional idea of the sublime by repeating patterns or drawing large collections of objects. The sheer number of things on my canvas, like tiny pixels, implies a much larger scenario. Just like the innumerable amount of stars in the sky or the repeating patterns of wallpaper, there is no end. 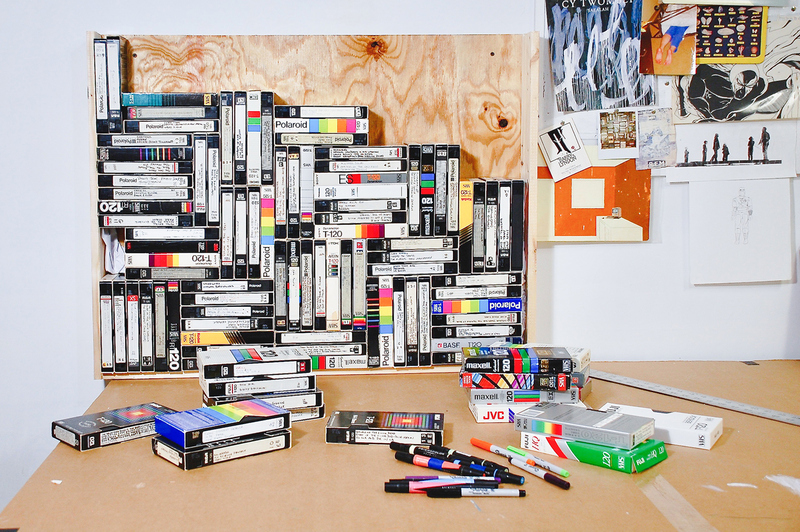 Just how many piles of Atari and VHS tapes are out there? You just don’t know. I find this theme of magnitude to be particularly compelling. 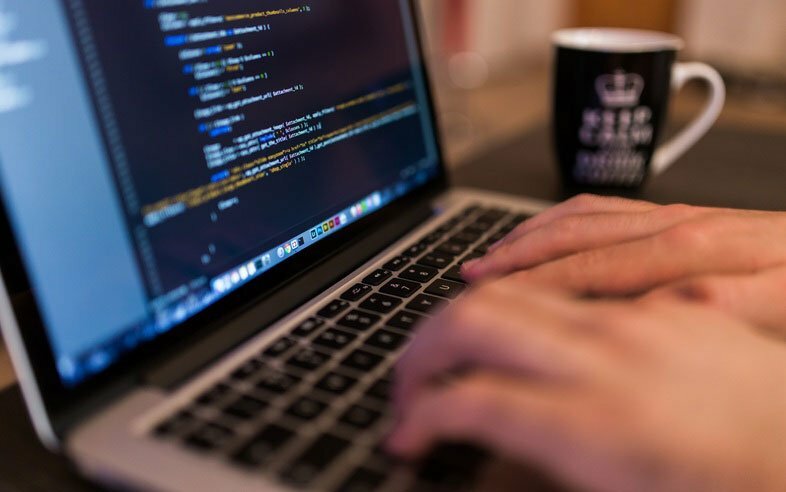 Why does the tech evolution play such a significant part in your work? Technology is something you simply have to accept and understand as it becomes more and more intertwined with our day to day. It is part of us now and it is one of the reasons I make my pixelated images and use crude chunky shapes. Can you explain why you pursue themes of erasure and fragmentation? I like erasing identities to universalize the figures and imply the unknown. I like creating a template that has a simple, direct complexity. We are all naturally fragmented, trying to figure out this world we were born into. I’m interested in the actual steps that are needed to get to the end result and I’m very methodical in how I get there. With paint, it is the ability to control the different layers with masking tape. With the marker drawings, I’m trying to recreate the images that I’m working with as accurately as possible. I love working with markers; trying to make specific and complex shapes with a media that tends to bleed and is completely unforgiving to mistakes is challenging but very rewarding. I suppose they balance each other, with the paint giving me a lot of control and the markers giving me less control in many ways. 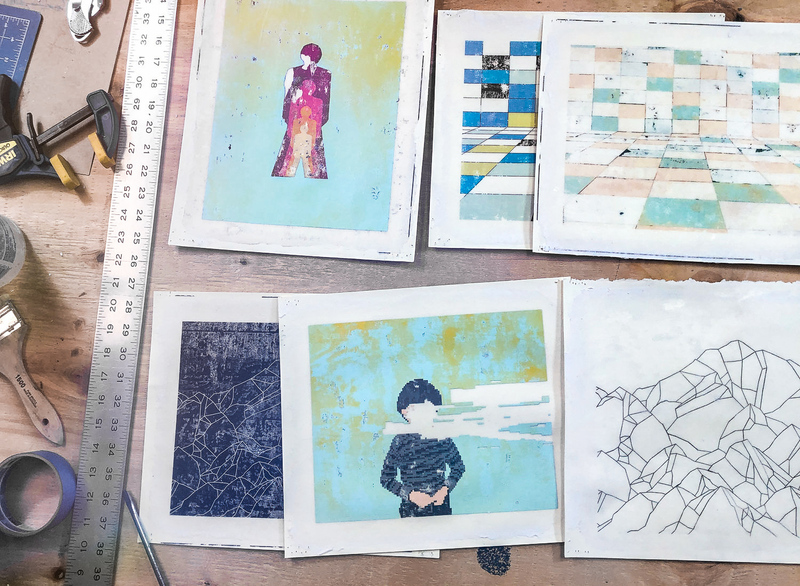 The pigment transfer process is a printmaking process that transfers the pigment of photocopies to another surface that takes acrylic paint. It allows me to add graphical or photographic elements to my paintings. When you are looking for inspiration, what resources do you turn to? Favorite painters like Cy Twombly, Takashi Murakami, Peter Doig, and Tom Wesselmann mean a lot to me and have influenced my direction over the years. Music is very important to me as well; R.E.M., Boards of Canada & Noel Gallagher are high on my list for inspiration. My studio is a warehouse building directly next to my home. I wake up around 7 am every day, walk over to my studio, and remain in my element “until”. Most days, I work 10 to 12 hours in my studio, but take breaks as needed. For emerging artists, finding the right rhythm to be productive in the studio can be a challenge, what advice do you have for staying productive and focused? Art should only have a purpose to the person making it, whatever it may be. People who make things for other people or with anticipation of other people’s acceptance, are performers or producers. Art comes from an internal desire to express an intangible. It is why artists spend their entire lives doing what they do. When I say this, I’m not talking about art as an elite or better thing, it is just a different objective. So, basically, be selfish with your work. Everything you do will be self motivated, so it has to be something that brings you personal fulfillment. What is your advice for combating creative block? Personally, I don't think creative block really exists. Creativity is all about trial and error. You do things and you learn from those things and get ideas of how to make something different or better from that previous step. Creativity is all about time doing the work. I'm not creative when I'm not working. Maybe other people are different and I'm sure emotional or mental conditions may exist that I don't have. For me, creativity simply comes from previous work, and the layers of knowledge gained from that work. As an artist, how do you measure your success? Can you recall a specific event or milestone(s) in your career that made you feel successful? Existing as an artist for almost 20 years- It’s a challenging thing to do. My work has been in galleries across the world, it’s been featured in major publications, and has been shown in a variety of museums. My work has been commissioned by private collectors and large companies. All of these things are important to make ends meet. Ultimately, I find it most rewarding when someone is moved or inspired by my work. Having an emotional and intellectual connection with someone is always the most worthwhile. In 2001 I moved to Chicago and lived there for 4 years. I wanted to be closer to galleries and learn about that aspect of the art world. That was really the only way to make it as an artist at the time. It was a tedious process, sending slides and resumes to galleries and waiting 6 months to hear back. Developing relationships with gallery owners and putting exhibitions together being more or less at the mercy of the ability of that gallery to sell your work. In 2019, you have so many other options. TurningArt, Print-on-demand sites, social media, Squarespace, online stores. These platforms make it much easier to make it on your own. What advice do you have for artists who are beginning to build their career? Have there been any habits or strategies that you have adopted that you feel have created more opportunity or visibility for your work? Just like any other job, it takes dedication and you have to “pay your dues” to succeed. Being self-employed takes an extreme amount of discipline and dedication, because no one will push you. It’s completely self-motivated. Over the years, I have learned that I do have to work harder to put my work out there to be seen. It’s easy to be in my own world, so I try to update my social media accounts regularly in order to expose more of the process, rather than only showing the end product. Absolutely. You are doing something unique to yourself, for reasons you enjoy. You have to find a market for what you are doing and ultimately make business decisions based on what you produce. There is learning in failure. I think it is as simple as that. Sure, you can fail, but if you accept failure and don't dwell on it, you'll learn why some things worked and others did not. It’s important to not let things that didn’t work out the way you anticipated block you from moving forward. TurningArt respects the artist. The company is transparent, pays on time & has great support. Since 2012, when I started working with TurningArt, I've never had a single negative issue. I view it as a positive partnership and a great way to get my work into the lives of people that may have not been able to appreciate it otherwise. To see more featured TurningArtists, return to our blog. 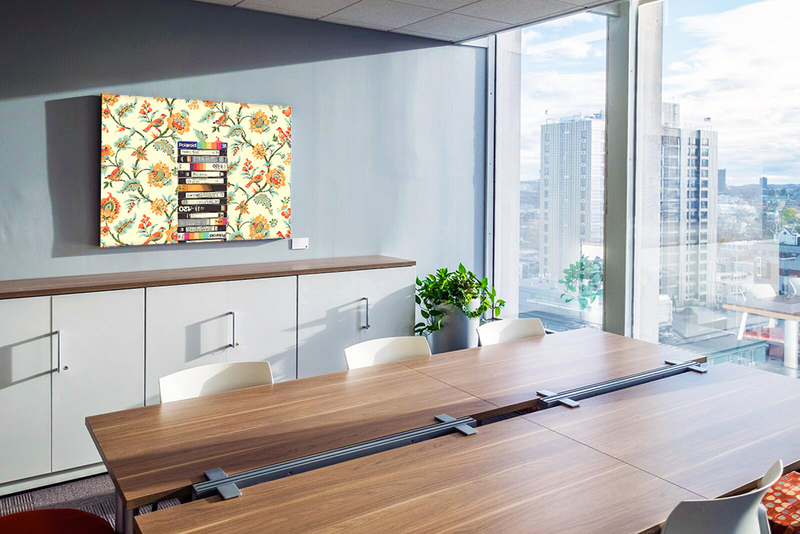 To get Hollis Brown Thornton's art in your space, set up a free consultation with an Art Advisor here!